The high-riding sibling of the C43 Sedan, Coupe, and Cabriolet heads to New York. It used to be simple. If you wanted a sporty, compact luxury CUV, you ran out and bought the excellent Audi SQ5. 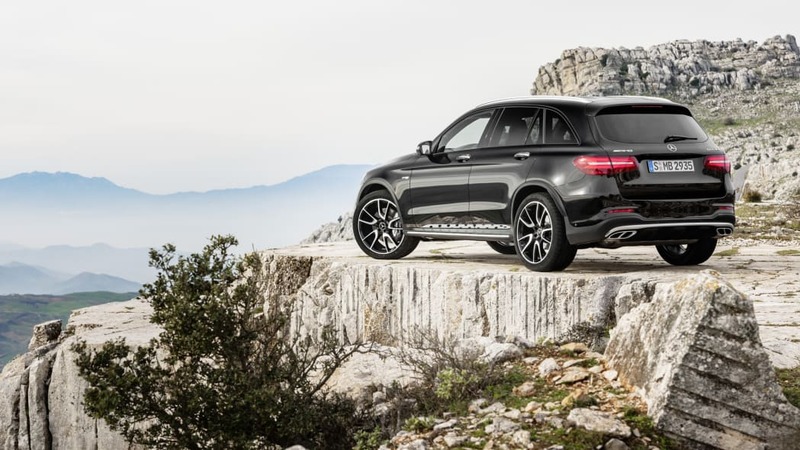 For the 2017 model year, the decision will be a lot tougher, thanks to the new Mercedes-AMG GLC43. You should be able to discern plenty about this new model based on the simple arrangement of those letters and numbers. 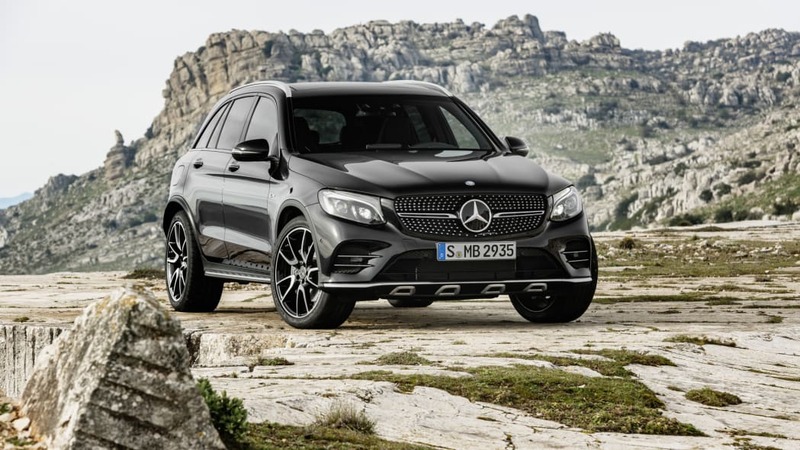 Like the upcoming C43 (née C450 AMG), the business end of the GLC43 hides a 3.0-liter, twin-turbocharged V6 good for 362 horsepower and 384 pound-feet of torque. Like the C-Class, expect plenty of performance from the six-cylinder engine, with Mercedes claiming the spicy CUV will hit 60 in 4.8 seconds and speeds up to 155 miles per hour. Both of those figures match the C450 Sedan, but the big difference between the two vehicles is how power is channeled to their standard, rear-biased 4Matic all-wheel-drive systems. 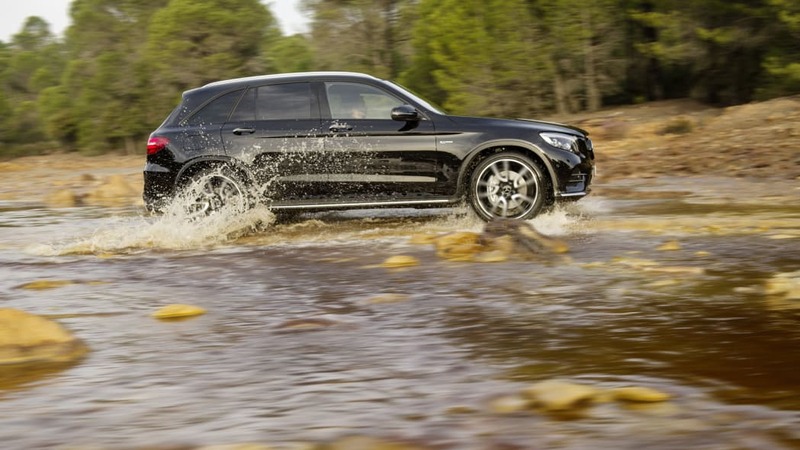 The GLC43, like the new C43 Coupe and Convertible, relies on Mercedes' new 9G-Tronic automatic transmission. 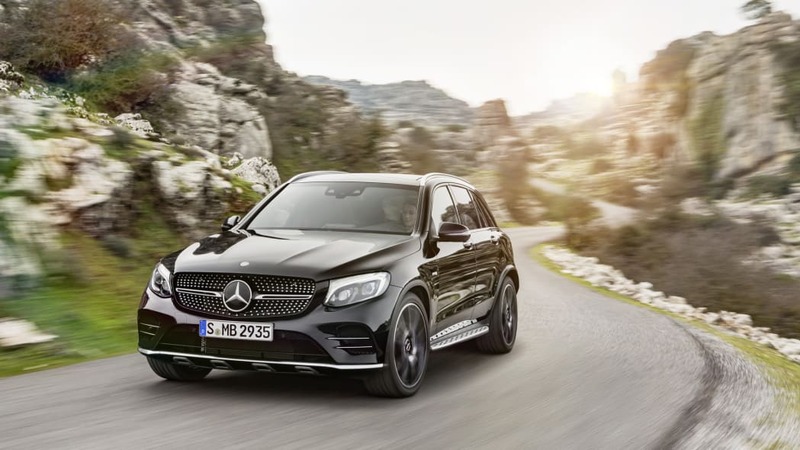 Mercedes claims it's tuned specifically for the GLC43 and will pump out quicker shifts than in the automaker's less exciting nine-speed applications. We look forward to putting that claim to the test. Of course, Mercedes has done a lot more than simply fettle under the GLC's hood. 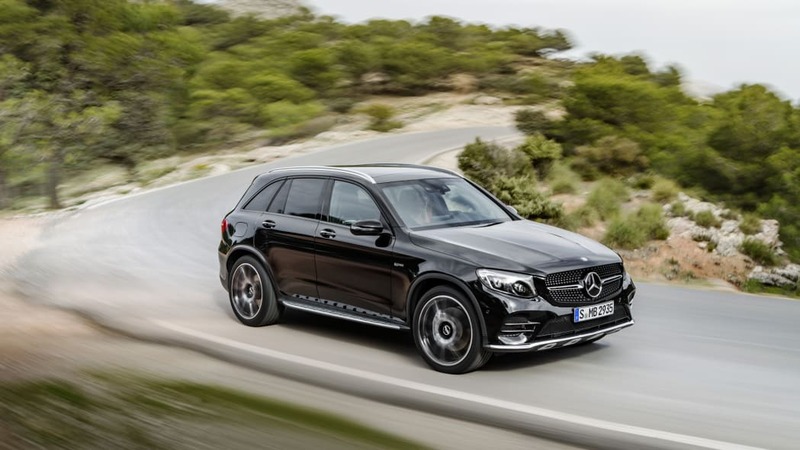 This crossover gets the AMG "Lite" styling treatment, with a more aggressive bodykit, bigger wheels, a much sportier cabin – the gorgeous thrones featured here are the optional seats – but none of it goes too far. It's all quite tastefully done, both inside and out (if you can ignore the buckets), and feels very much appropriate for the GLC's overall look. If it's anything like the C450, the GLC43 might not be dynamically better than the Audi SQ5, but it's going to look better and probably be a nicer place to spend some time. That's good for a few points, at least. You can check out the first round of official GLC43 images up top, and stay tuned for even more when it makes its big debut next week in New York City. Affalterbach. 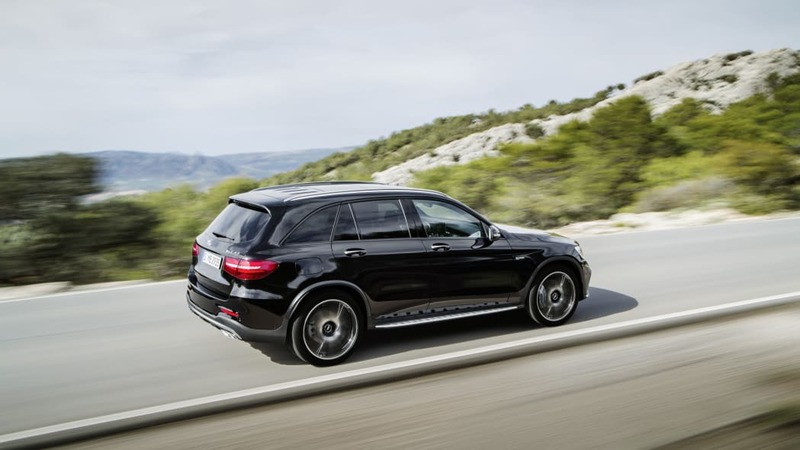 The mid-size SUV model series gains a particularly dynamic addition in the form of the new Mercedes-AMG GLC43. The 362 hp 3.0-liter V6 Biturbo engine, the 9G-TRONIC automatic transmission with shortened shift times and AMG Performance 4MATIC all-wheel drive configured with a rear bias form the basis for an especially dynamic on-road driving experience. The autonomous design and the specially tuned sport suspension on the basis of AIR BODY CONTROL with adaptive damping adjustment underline the affiliation to the Mercedes-AMG world of Driving Performance. The AMG 3.0-liter V6 Biturbo engine is characterized by a powerful output together with low consumption and emissions. Installed close to the engine, the two turbochargers are able to provide power without delay. The high power output of 362 hp is attributable to, among other things, a higher boost pressure of 15 psi. Together with the 384 lb-ft torque from 2000-4200 rpm the engine unleashes high levels dynamism and responsiveness. The NANOSLIDE® coating on the cylinder liners was also enhanced in the Mercedes- Benz Formula 1 V6 hybrid turbo engines. Especially tough and wear-resistant, this coating also reduces friction and contributes to higher efficiency. The same applies to the spray-guided multiple injection with up to 2900 psi of fuel pressure. The AMG powerplant can be identified by the red aluminum insert on the engine cover. With two large round dials and central color multifunction display with a 5.5" diagonal the AMG instrument cluster places all the important information in the driver's field of vision. The ECO display supports a fuel-saving driving style. Dials in a checkered-flag look and the distinctive typography lend the large displays an especially sporty touch.